Request for Claims Without Any Trouble - Learn The Details! HomeCar InsuranceNewsWhat is a Car Insurance Claim Process? A Detailed Guide! What is a Car Insurance Claim Process? A Detailed Guide! Car Insurance Claim Process - How To Proceed with Claims? Buying car insurance is a need of the hour. You might fail to realise but at-times things can run off-course. You’ve been struck with a massive loss. So, what’s next? Who do you call for help? What are your liabilities? Can you make up for these financial liabilities, let alone the mental stress? A ton of questions pop up when there occurs a sudden accident or a serious loss. You are of-course thrown into sixes and sevens, not realising what to do next in the line of action. There’s no doubt that incurring losses are immensely stressful, particularly when its a personal favourite asset. Car, the one thing that’s intensely close to your heart when driven can bump into any unfortunate scenario. So, protection steps up as a number requirement in the game. Hence, a god comprehensive car insurance policy cuts the grade. Regardless of how big a hassle losses could sound, the thumb rule is to stay calm and not be confused. You must be wondering how, right? Well, just think and realise that there’s claims professionals at your service to help you recover losses to the utmost. They are on job to walk you through the essential steps of how to process a claim against your policy. However, if you are still eager to get your heads clear on how to kick-start the process, take a quick read. Figure out the following - what are the possible incidents you can put up with? - Loss or damage to third party property. If your vehicle is well covered with an insurance policy, you are good to go. Learning what to do first will certainly give you an edge. Here’s how you can start. Intimate Your Insurers - Letting the insurance company know about the nitty-gritties of the incident is worthy. The sooner the better. How do you reach out to the insurer? It’s easier than you think. Most companies in business come with a toll-free number. Just dial the same and proceed by informing your insurer. How to initiate a claim when a car in stolen? Nothing sounds more disastrous than a stolen car. Buying a new car simply as replacement is not a feasible option as it involves spending riches. Perhaps, your car was also an asset close to you. Why on earth would you spend on another vehicle? This is where having a vehicle insurance comes in handy. File for an FIR - Stolen car undeniably opens a can of worms, extreme worries and panic being the first ones to be let out. So, after you are done freaking out, go to the nearest police station and lodge a FIR. 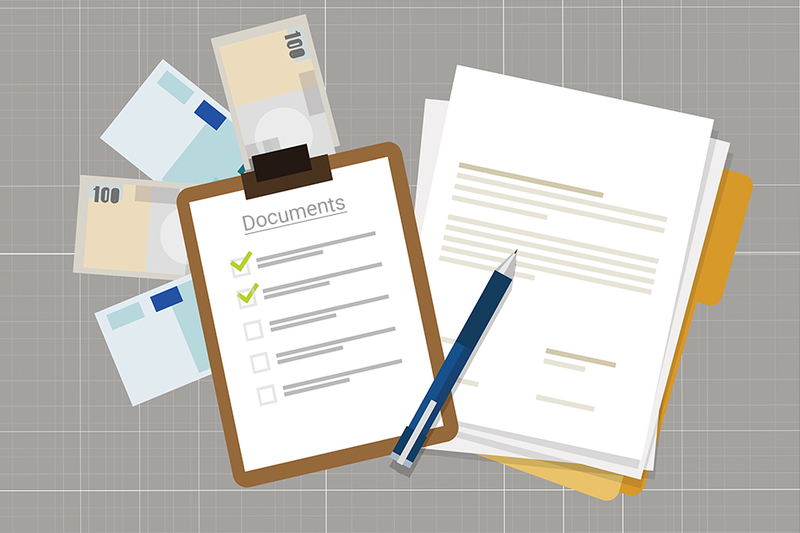 Process of Documentation and Raising a Claim - It is now time to set the claim in motion. However, you will first need to wrap up a couple of documentation procedures. For instance, it is mandatory to hand in a copy of your car’s registration certificate, popularly known as the RC. Along with the RC, you will also need to submit documents like copies of your driving license, FIR report and the initial two pages of your policy cover. Finally, you will have to submit a letter to the RTO, spilling out the details of the accident. The police does its work and tries to locate the car for good three months. Post this tenure, the department issues a non-traceable report. What springs up next is a set of formalities that needs to be done at the earliest. The RC of your lost vehicle must be transferred to the insuring company. This needs to be accessorised with a letter of subrogation. Agreed, the process is quite long and time-consuming but the claim will only be settled once all the documents are acknowledged and handed to the insurance company. Claims Due to Own Damage? Learn the How’s and What’s! Impairments in the car could be a consequence of collision, natural calamity, theft, robbery and other man-made circumstances. Regardless of the cause, the damages incurred are required to be fixed. It obviously paves way for a huge financial crunch. What caters to the finances are a worthy four wheeler insurance policy. So, here’s how you can retrieve your expenses in the form of claims. As a policy holder, you are required to fill in a detailed claim form. Attach it with a couple of staple documents and submit the same to the insurance company. Are you struggling to figure which documents to hand in? Well, here’s a list of the following. - Date and time of the incident. - Details of the vehicle in question (Make, model and the vehicle number). - Brief description spilling beans on the whereabouts of the accident. Everything from the location of the incident to the extent of loss incurred is jotted down. Remember: Own damage car insurance claim can be made when your car is the only object incurring damages in an accident. Check out more about claims at www.insurancedekho.com. It’s your money in question. Protect your car and learn how you benefit by opting for a cheap car insurance.